Are you looking to plant your very own vegetable garden but you’re not sure how to get started? 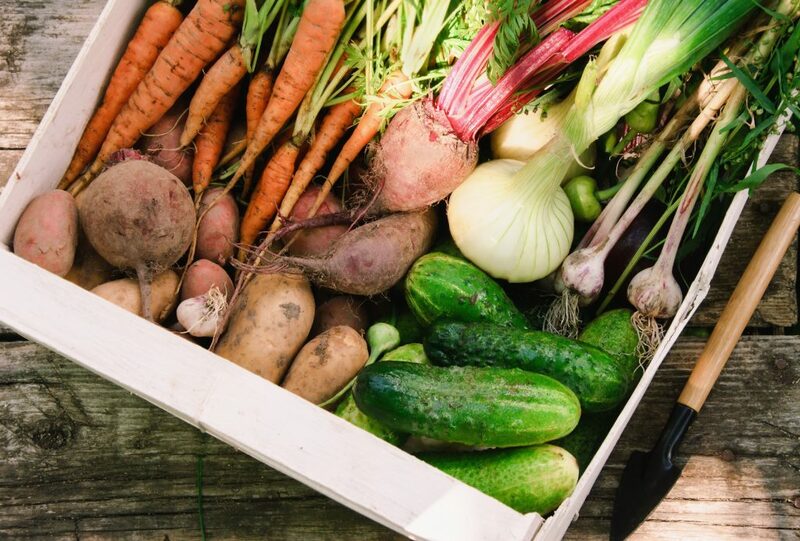 Planting a healthy vegetable garden provides so many benefits including an abundance of healthy organic food and saving thousands on your grocery bills. I don’t know about you but I still remember the days when a tomato from the supermarket tasted like a tomato, not anymore unfortunately. Let’s look at some vegetable gardening for beginners tips to help get you started today. Preparation is the key to growing a beautiful and healthy vegetable garden. Planning is critical for setting up a vegetable garden that you can harvest every daily. Vegetable gardening for beginners does not have to be difficult with the correct planning. First you must decide on your plot, the area for your garden. The ideal spot is somewhere that receives plenty of morning sun and protection from the elements such as wind. Although you maybe limited with the space you have available don’t be discouraged as you will be shocked at how much you can grow by maximizing the space you have. Ensure there is sufficient drainage for water run off. One of the most common vegetable gardening for beginners tips you will hear is never underestimate soil quality. Soil is the life line of a garden do not underestimate it’s importance. You must ensure that your soil preparations include checking the soil and preparing it by testing its pH levels. The ideal pH level for your soil is 6.5, if you do not have a test kit you can go to your local garden outlet and let them test it for you. Don’t stress if your levels are out of whack for the moment, you can purchase garden lime that will improve the pH levels of your soil. In a nutshell your pH levels will determine how much nutrients your vegetables will be able to receive. Dig your plot and turn your soil over, ensure you dig into a depth of about 12″ (30cm) and remove any weeds you find by hand. Avoid using weed killers and they can effect your soil structure and levels. Once your pH levels are in healthy range, wait 4-5 weeks before you begin planting. The vegetables that you grow will dependent on where you live. Speak to your gardening outlet that will buy seedlings from for the most suitable vegetables. Ask about purchasing some organic fertilizer which will be the life blood of your garden. 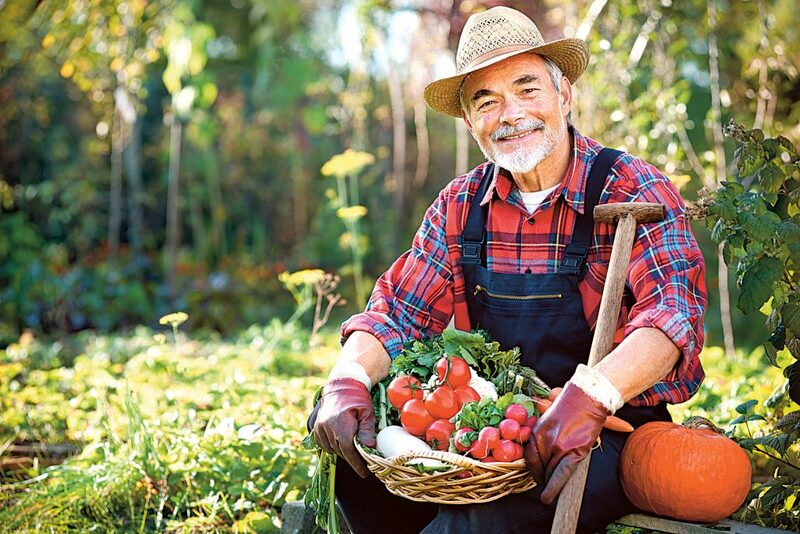 Organic fertilizers such as animal manure, blood and bones as well as compost are terrific choices for providing essential nutrients and moisture. The key to planting a successful garden is to have vegetables that you can harvest year round. By doing this you can rotate different vegetables to help ensure the health of your gardening by limiting pests and diseases. One of the most common vegetable gardening for beginners mistakes is insufficient planning and set up process. If you set up your garden correctly you will have vegetables that you can harvest every single day. With the right planning your garden should require very maintenance and upkeep as it continues to provide fresh, organic food for you and your family for years to come. Dry lavender has many uses so it’s no wonder many people want to dry their own. 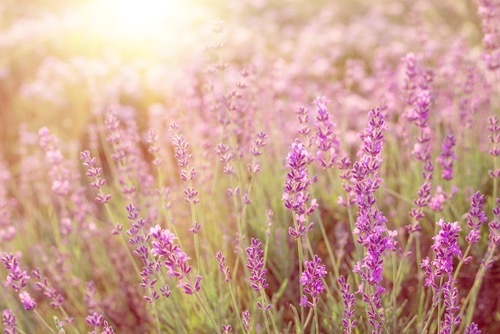 Lavender can be used in aromatherapy and can be used as well as the main ingredient on most lotions and oils. Growing lavender and drying it is easy and this will require you to follow simple steps starting with harvesting the plant stems. Harvesting the stems is easy and this requires the use of gardening shears in order to cut the stem just above the leaves when the buds are starting to open. The time when the bud is about to open is the time when oils are at their strongest so this is when you want to cut the plant to be sure you get the essential oils at their peak. The harvested stems should then be secured by a rubber band and placed together in a safe area. Hang them upside down in a dry storage area – away from direct sunlight. It takes about 7 to 10 days to dry lavender properly. When the lavender stems have dried up, the buds can be removed from the stem. Wrap the dried stems in a towel and gently roll them back and forth. This will cause the buds to fall off the stems. The stems and the buds can now be used separately. The buds are great for sachets or to use as potpourri! If you are one of those people who loves lavender but can´t wait until the harvest or if you aren´t ready to start gardening yet you can grab fragrant lavender over on Amazon today and start enjoying it tomorrow without waiting. A plain old garden may look nice with all those vegetables growing, but it can also become boring to look at. Sure, you may add some coloured veggies to give it a little more eye appeal, but it will still be just plants that you are looking at. One thing you might want to take a look at is are garden fountains. Putting a fountain in your garden can give your ho hum space some character. There are all kinds of shapes and sizes of garden fountains. Big, small or medium. Some even look like they fit the miniature category. Garden fountains can give you little, or big, food producer area a nice eye appeal. Besides the viewing aesthetics a garden fountains provide, they also lend themselves to a calming effect through sound. 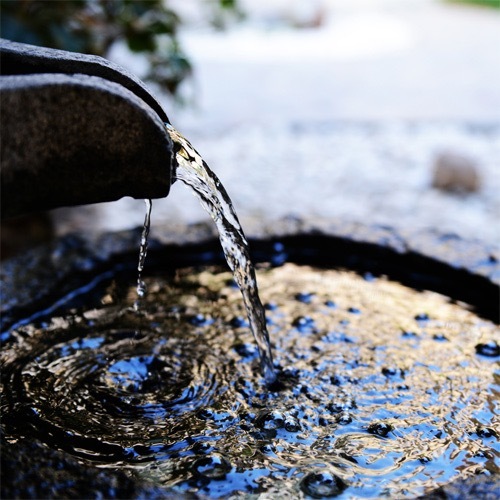 Garden water fountains produce that sound of flowing water that is pleasing and relaxing to the human brain. It makes working in the garden an enjoyable task that can melt the days or weeks stress away while you enjoy being outside. The cost of a water garden fountains will vary by the size and type you decide to get. Some may even be less that one hundred bucks. When you install this, whether it be a concrete garden fountain, stone garden fountain or even one made of slate, consider how you are going to run the cord. Having the cord just lay on the ground really is not very pleasing to the eye. Running the cord underground to hide it could be a better option. Just make sure you remember where it is as not to cut the cord when working in your garden. Garden fountains can give you hours upon hours of enjoyment while your basking in the fresh air and sunlight. One of the best tips to start your organic vegetable garden you will hear is never to underestimate soil quality. Soil is the life line of a garden do not underestimate it’s importance. You must ensure that your soil preparations include checking the soil and preparing it by testing its pH levels. The ideal pH level for your soil is 6.5, if you do not have a test kit you can go to your local garden outlet and let them test it for you. Dig your plot and turn your soil over? Make sure you dig into a depth of about 12″ (30cm) and remove any weeds you find by hand. Avoid using weed killers and they can effect your soil structure and levels. Once your pH levels are in healthy range, wait 4-5 weeks before you begin planting. My name is Rosa Henson and I want to thank you for visiting my site. I am a life long gardening enthusiast. All this internet technology is still new and difficult for me but when you have reached my age the most satisfying feeling is to inspire others. 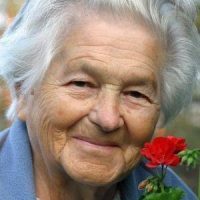 So, I have decided to share all my best kept secrets and all the gardening wisdom I have collected over a lifetime with you on this site. I hope you find it useful.